Since the mid-1980’s we have secured the closure and revegetation of some 400 miles of “ghost roads” on the Flathead National Forest. These roads were being used illegally by motorized vehicles after having been dropped from the Forest Service’s maps and computer inventories. The inventory and legal procedures we developed and used to get these roads closed are now being used across the country. In addition, as a result of our public education and lawsuits, the Flathead National Forest has scheduled the reclamation of some 800 miles of road. This means that all culverts and road-fill at stream crossings will be removed and the land in the immediate area returned to near its native contours in order to ensure that culverts will not plug and cause the road to be eroded into the streams. 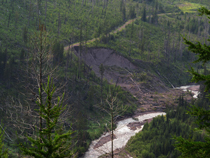 Streams will flow freely once more and the decrease in human use of the area will increase its availability for use by grizzly bear, wolf, elk, wolverine and many other terrestrial species. 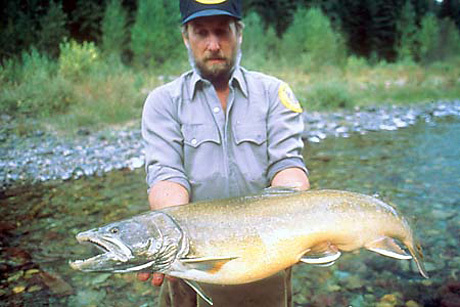 Less dirt in the water means improved habitat for sensitive fish species like bull trout and westslope cutthroat trout. Working to Maintain and Restore Peace and Quiet The indiscriminate use of noisy machinery destroys Peace and Quiet, perhaps the most rapidly vanishing resources on Earth. Besides working to decrease the miles of noisy roads on public lands, we are also working to limit the use of snowmobiles and other motorized off-road vehicles which destroy Peace and Quiet for not just the user, but for everyone and everything else in the area. We encourage others to practice a Code of Quiet. We encourage decision-makers to prohibit the use of jet-skis in our National Parks, to prohibit scenic flights over our National Parks, to provide for nonmotorized waterways and camping opportunities, to provide safe, nonmotorized alternatives to public highways, and to favor public transportation over the proliferation of private automobiles and asphalt. 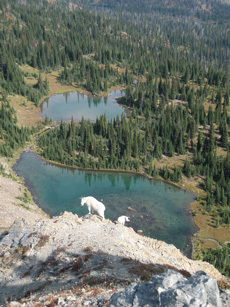 Protecting Roadless Areas and Old-Growth Forests The 1986 Flathead Forest Plan called for some 6,000 miles of road on the Flathead National Forest alone. Our lawsuits, public education and continued pressure have essentially kept the “formal” road mileage from exceeding the some 4,000 miles that existed when the Plan was issued by making it nearly impossible to justify new road construction in grizzly bear habitat and roadless areas. We appeal timber sales that would build roads in roadless areas or log old-growth forests. 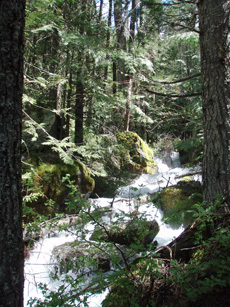 We have developed and maintain an educational old-growth forest interpretive trail on the Flathead National Forest.